Meet this super cute, sassy and funny baby bird! She lost all of her feathers early in life but she is now one super happy bird, all thanks to her new mom. 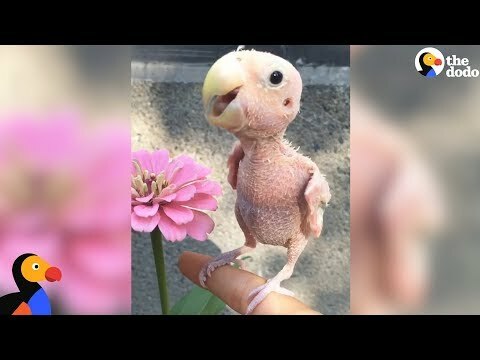 You have to watch this little cutie live her life featherless but never fearless! Her mom even made her a little superman cape to show off her strength. Click on the link below to see this little bird in action. Enjoy! Meet the cute, sassy and funny baby bird! 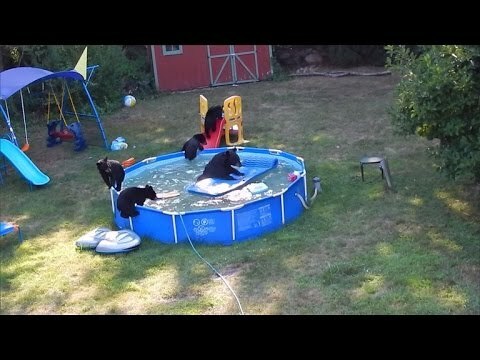 Black bears splash around in someones yard.